Right: Tan Sin Aun, SJC President, SEAP Games Gold 1971 & 1973. 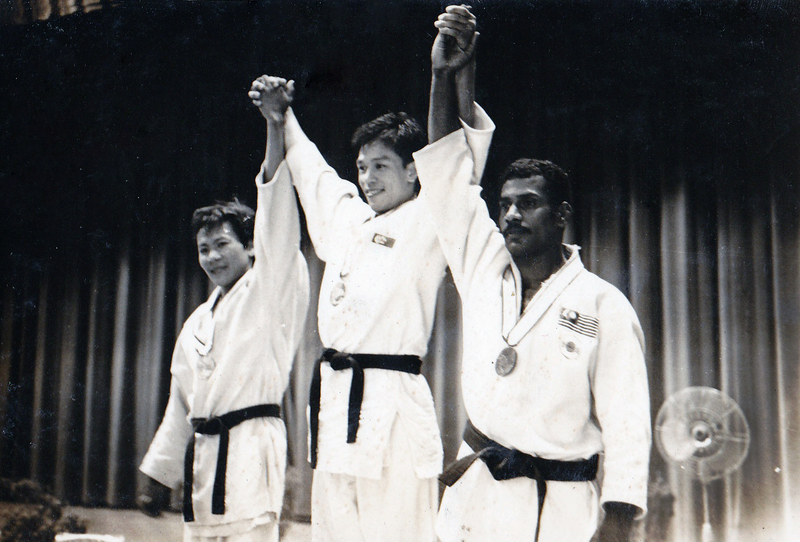 Singapore Judo made History in the SEAP Games of 1973 when Mr Choo Kah Wah (Left), a light weight competitor, proved that this superior technique was unmatched by his heavier opponents. That year, he took home the Open Category Gold. 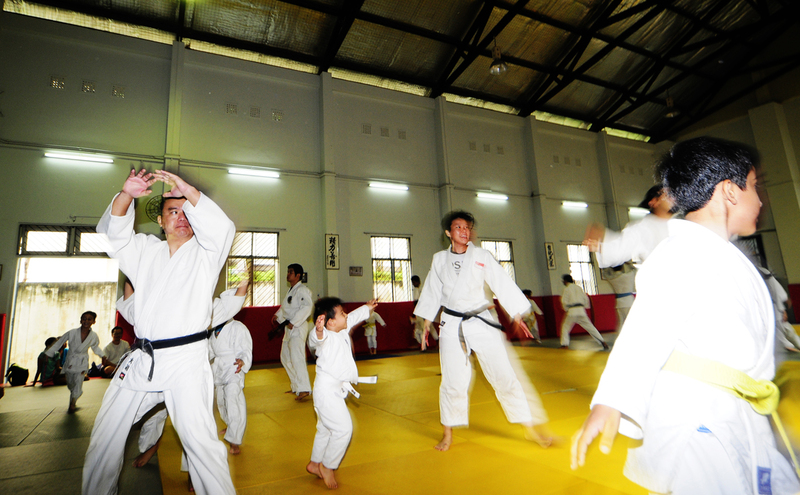 Yesterday, Mr Choo stepped onto the mats after a 30+ year break. Still fighting fit and all ready to get back into fighting shape. These gentlemen are truly roles models. 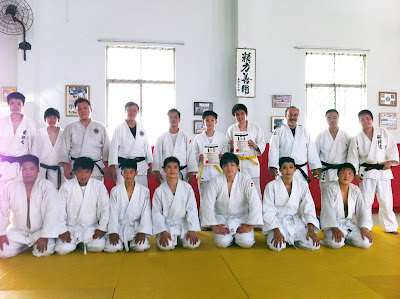 Earlier in this month, The Singapore Judo Club (Since 1954) is proud to have the Judo Legend, Olympic Gold Medalist & 3 times World Champion, Prof Jeon Ki Young to conduct his final training before ending his 2 year stint as Singapore's National Coach. All the best Prof Jeon! 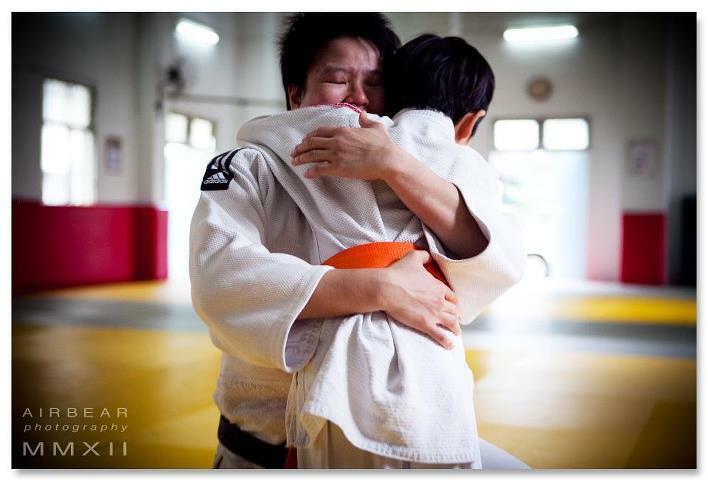 Thank you for your hard work in growing Judo in Singapore! Videos of Prof Jeon's classes can be seen on our Facebook wall. Another Year Running! Meet the TOP TEAM in the country, at last Sunday's Singapore National Inter-Club Championships! Well done guys! 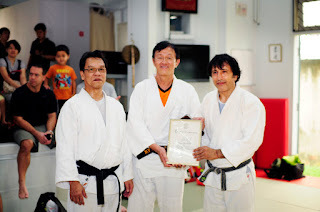 Mr Tan Sin Aun Conferred Rank of 6th Dan! 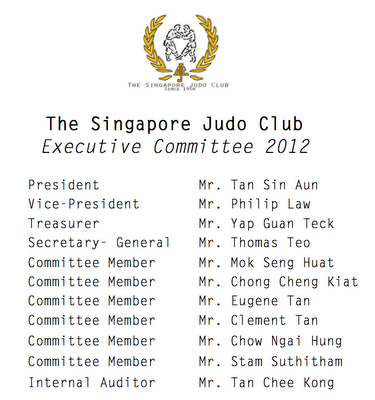 SJC President Mr Tan Sin Aun was conferred the rank of Roku Dan (the 6th Dan) by the Singapore Judo Federation last week. 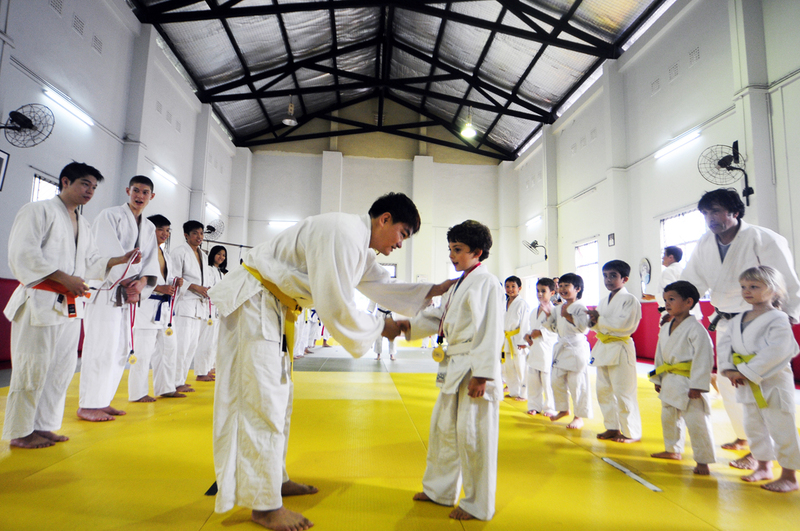 Mr Tan joins the rank of only a handful of senior Judo players in Singapore and the region, who dawns the red and white belt. 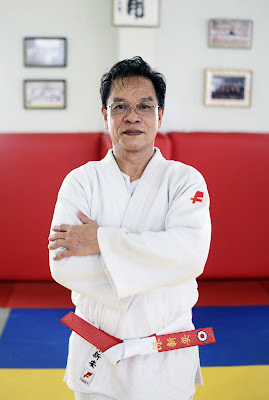 The 2 time SEAP Games (former SEA Games) Gold medalist is arguably one of the most successful Judokas in Singapore's relatively short Judo history, clinching the coverted titles in 1971 and 1973. 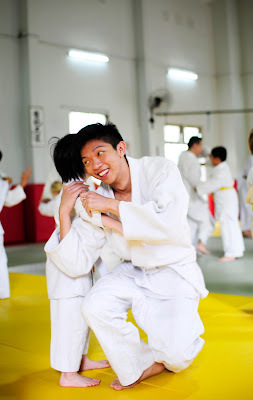 He later gave back to the Judo community by taking on the coaching role in SJC. 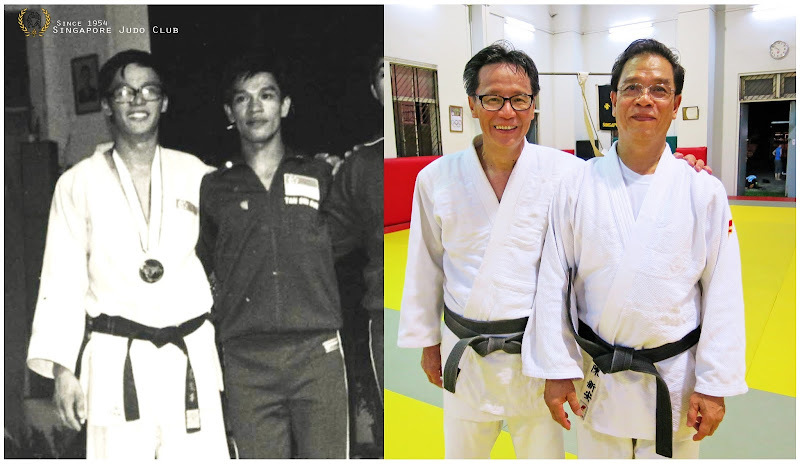 Between 1985 to 1992, Mr Tan was Singapore's Judo National Coach and produced an astounding 4 Gold, 2 Silver and 4 Bonze Medals at the SEAP/SEA Games. In recognition of his contribution to the Sport, the Singapore National Olympic Council (SNOC) presented him an Award of Merit in 1973 and he was promoted to the rank of 5th Dan in 1992 by the International Judo Federation (IJF). 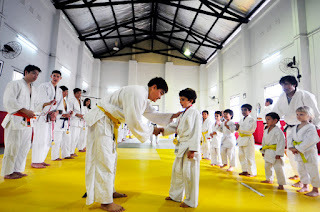 His stellar Judo career has been an inspiration for many young Judoka and his records in both coaching and competition remains unbeaten even till this day. Today, the 66-year-old can still be seen delivering the weekly classes at the Singapore Judo Club Dojo and there is hardly any sign of him slowing down. The members of SJC congratulates Mr Tan on his well deserved promotion and we look forward to his guidance for many years to come. SJC welcomes visiting New Zealand Youth Team! SJC plays host to the visiting New Zealand Youth Team at this evening's training. 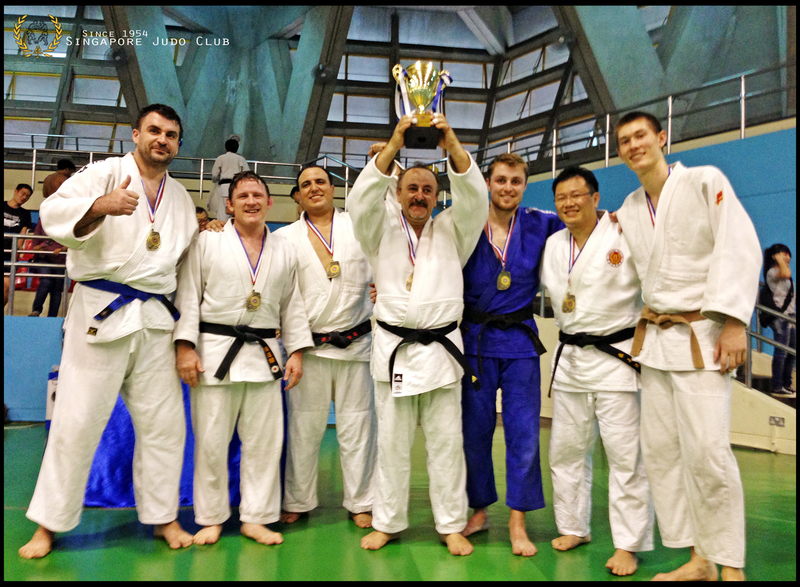 A spirited exchange and we sense an exciting International Cadet Judo Championships this weekend. 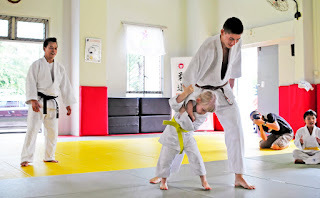 We are also pleased to announce that Sensei Johan Boshoff (6th Dan), Chief Instructor of Nippon Judo Schools NZ will be conducting this Sunday's SJC training. *Note the committee was elected in 2011 on a 2 year term as per the club's constitution hence no election was made at this year's AGM conducted last week. SJC wishes all Singaporean a Happy 47th National Day! Congratulations to our members for obtaining their grade promotion! Also welcoming our new batch of beginners along with 2 senior Judokas from Japan! We look forward to some quality training this quarter. Cheers!!! 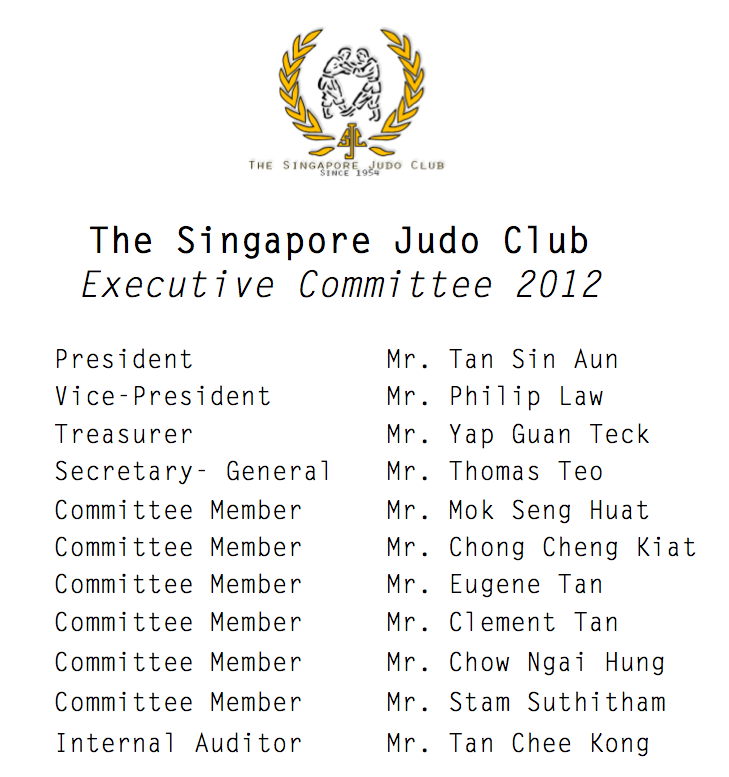 The newly appointed Singapore National Coach + Olympic Gold Medalist + 3 times World Champion, Judo legend Prof. Jeon Ki Young will be conducting training at the Singapore Judo Club tomorrow evening, 10th Apr 2012. We look forward to some world class pointers. Congratulations to our members for obtaining their grades promotion. Father and Son duo Yap Guan Teck and Yap Jing Yuan was awarded the highest student grade of 1st kyu (The Brown Belt) and will be officially assisting in the new beginner's training class in the coming months. Well done everyone! Meet the Top Men's Team in the Country! 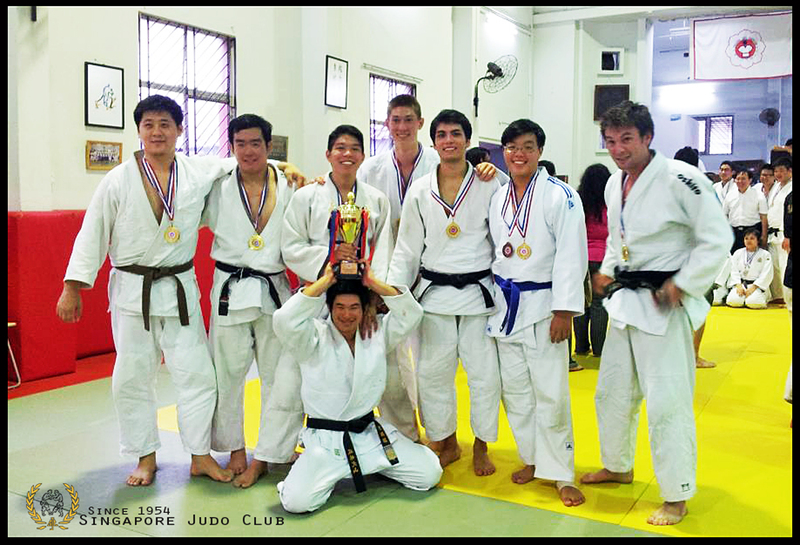 Once again, SJC managed to clinch the tittle for the Annual Singapore Inter-Club Team Championship 2012! Bravo to our brilliant men’s team! Another notable achievement was our equally outstanding Mixed team, who came in 3rd place, earning them a respectable Bronze medal. Thank you all for taking time off to participate. See you back in training real soon! 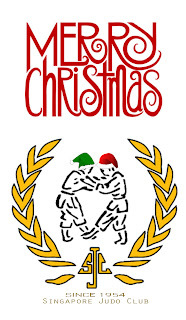 The Singapore Judo Club wishes all Judoka, friends and family, a Prosperous Dragon Year! Thank you all for a great 2011! Do note class disruption on tuesday, 24th Jan 2012. Training resumes next Sunday, 29th Jan 2012. It's that time of the year again where we hold our Kagami Biraki, a ceremony that marks the start of the training year. 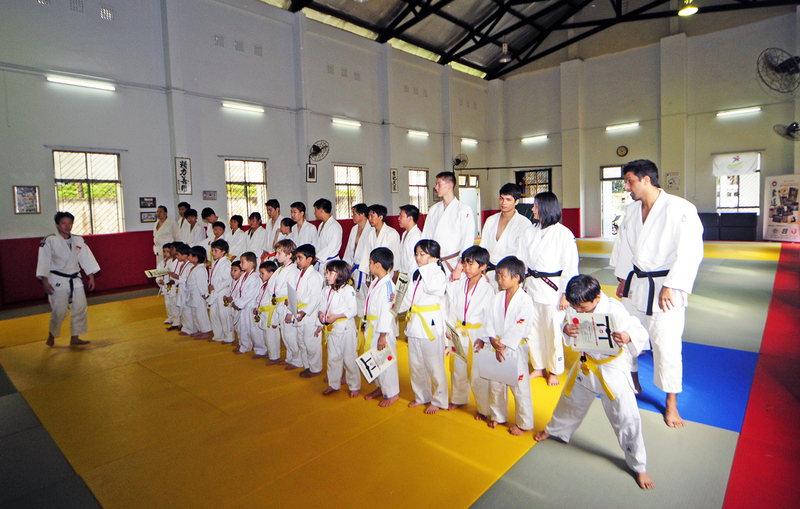 This year we saw some good interaction between the kids and adults classes. Some nice moves from both classes followed by good food and great company. We like to thank all the members for their support over pervious years and we look forward to a stronger SJC in the coming years. of Distinguished service to the club. 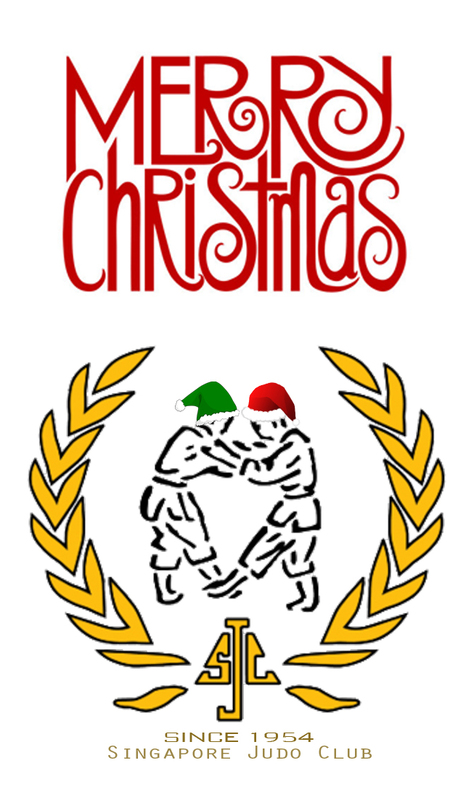 Wishing Everyone a Wonderful Christmas & Brilliant New Year! Members please note Class Disruption during the upcoming holiday season. Everyone please note we will be holding our traditional Dojo opening session (Kagami Biraki) on the morning of 15th Jan 2012. 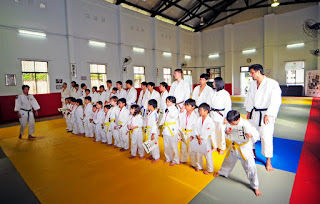 Much like last year, it would be a great chance for both he Adults and Kids class to practice together. We have have medals for the kids and lots of food for all. 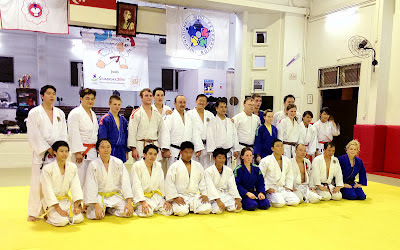 SJC Blog listed on the Kodokan Institute site! Singapore Judo Club Blog is now listed on Kodokan's 'Judo Club Sites of the World' page! 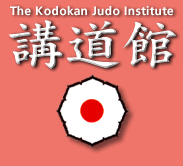 Kodokan (講道館 Kōdōkan), or the Kodokan Institute, is the headquarters of the worldwide judo community. Literally, kō means "to lecture" or "to spread information," dō means "the way," and kan is "a public building or hall," together translating roughly as "a place for the study or promotion of the way." The Kodokan was founded in 1882 by Kanō Jigorō, the founder of judo, and is now located in an eight-story building in Tokyo, Japan. Jagsports hosted a Mini Rumble for the judo kids with the aim to promote fun, friendship and the excitement of competitive Judo. We had five 5 very enthusiastic boys in Soloman, Jonathan, Ioan, Jett and Yu Yang representing SJC, most were entering their very first tournament. We had a few wins, a few loses but all the boys walked away as champions. 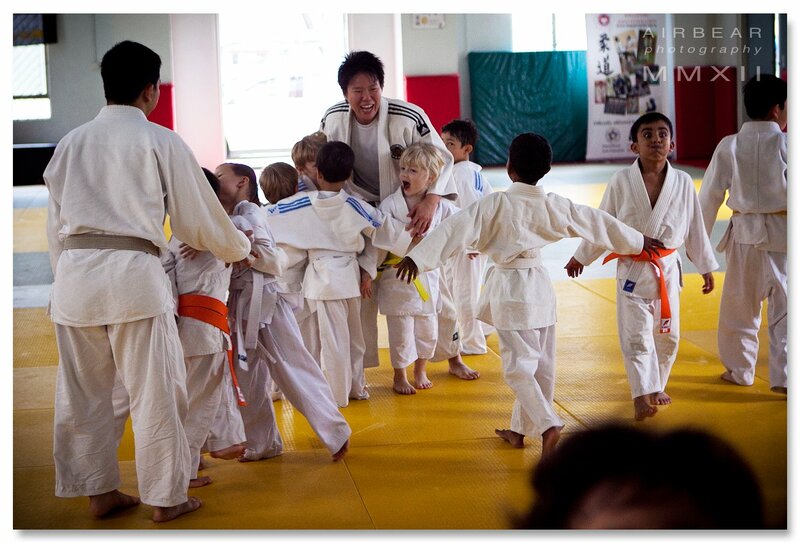 They all had lots of fun and learnt a great deal about the spirit of competition and the art of Judo. I am sure they are all looking forward to their next competition. 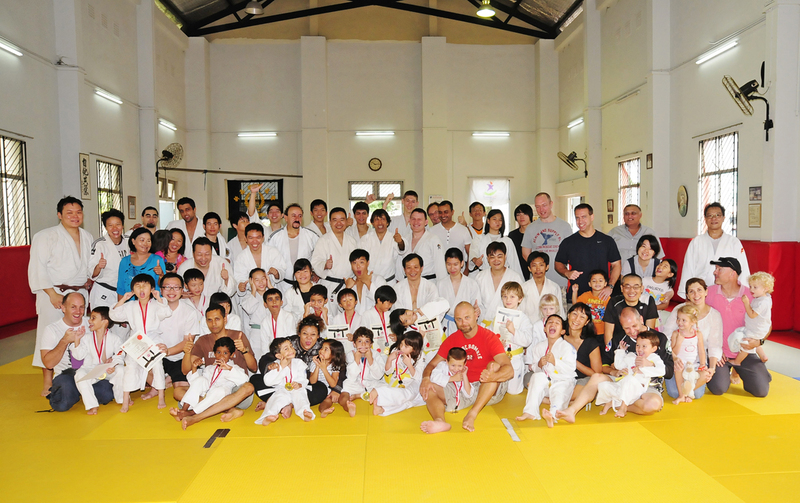 Special thanks to Jagsports, sensei Scott and sensei Kiat for their support of the great day for the kids. All champions from the Singapore Judo Club! No, we are not kidding! Judo can inspire fashion designers too. February 2011 issue of Italian Vouge features 'the Jūdōka' as Trend of The Day. 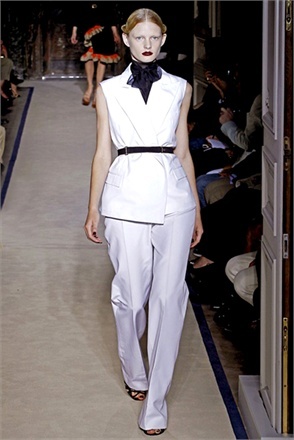 Disciplined elegance: matelassè coat-vest, worn with white belt and light matching trousers, by Céline. 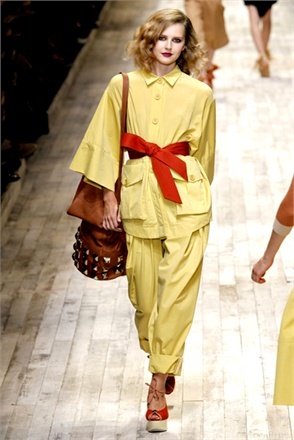 A revisited version of the judo outfit: check out the look in sorbet yellow with red belt, by Sonia Rykiel.